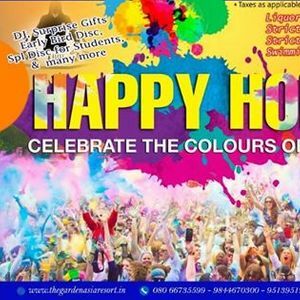 Lets Celebrate Holi With your Family & Friends In The Garden Asia Resort . With DJ, Surprise Gifts, & Many More !!! 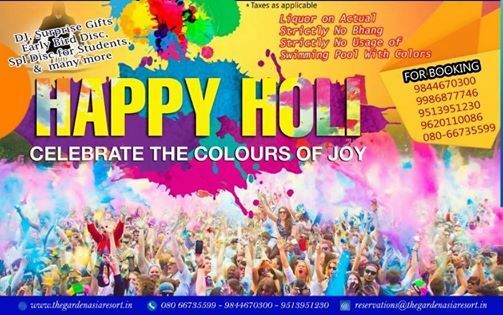 Special Discount for Students .